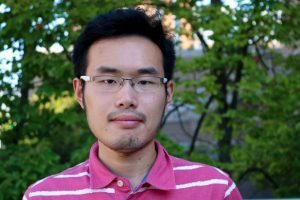 Yidong Wang (Steven) received his B.A. in International Journalism from Hong Kong Baptist University and got his M.A. degree here in SJMC, UW-Madison. His master’s thesis is a case study of the digital media niche in the Hong Kong localist movement. His research interests focus on the interaction between media technologies and cultural and political discourses. He also writes about rhetoric and film/theater studies. Wang was also trained in be a professional journalist and he once interned at the video desk of the AFP Hong Kong Bureau.